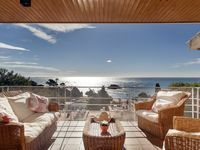 Property 1: Club Villamar - Wonderful villa in Lloret de Mar with private swimming pool and beautiful view. Property 3: Now -15%, an incredible 12 BR luxury private villa with all amenities & 2 pools! Property 26: Catalunya Casas: Villa del Art in Sils, in the center of Costa Brava and close to Spain's best golf! Property 27: Club Villamar - The perfect villa to spend some quality time with your beloved ones! Property 32: Vacances & Villas Lloret -VILLA MEDITERRANIA 120m. Cala Canyelles beach. 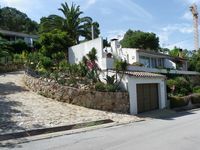 Property 36: Club Villamar - A charismatic and well-maintained Spanish family villa near Tossa de Mar. Property 38: Ibizan style house with private pool, only 2 5Km from the beach. Property 39: Club Villamar - Rent this villa to enjoy your holiday with your friends!